used as a symbol of sovereignty, royalty, deity, and divine authority in ancient Egypt. The Uraeus is a symbol for the goddess Wadjet, one of the earliest of Egyptian deities, who often was depicted as a cobra. The center of her cult was in Per-Wadjet, later called Buto by the Greeks. She became the patroness of the Nile Delta and the protector of all of Lower Egypt, so her image was worn by the pharaohs as a head ornament, first as the body of Wadjet atop the head or as a crown encircling the head, always remaining in effect part of their crown, indicating her protection and as a claim over the land. 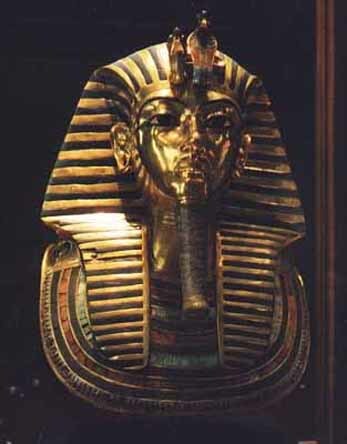 The pharaoh was recognized only by wearing the uraeus, which conveyed legitimacy to the ruler. There is evidence for this tradition even in the Old Kingdom during the third millennium B.C. Several goddesses associated with, or being considered aspects of Wadjet are depicted wearing the uraeus also. At the time of the unification of Egypt, the image of Nekhbet, who was represented as a white vulture and held the same position as the patron of Upper Egypt, joined the image of Wadjet on the Uraeus that would encircle the crown of the pharaohs who ruled the unified Egypt. The importance of their separate cults kept them from becoming merged as with so many Egyptian deities. Together they were known as The Two Ladies, who became the joint protectors and patrons of the unified Egypt. Later, the pharaohs were seen as a manifestation of the sun-god Re, and so it also was believed that the Uraeus protected them by spitting fire on their enemies from the fiery eye of the goddess. 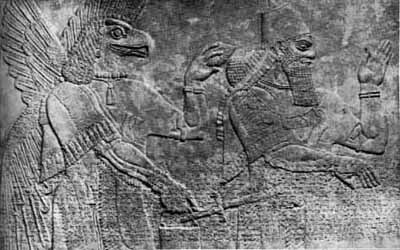 In some mythological works, the eyes of Ra are said to be uraei. Wadjets existed long before the rise of this cult when they originated as the eye of Wadjet as cobra and are the name of the symbols also called the Eye of the Moon, Eye of Hathor, the Eye of Horus, and the Eye of Ra - depending upon the dates of the references to the symbols. 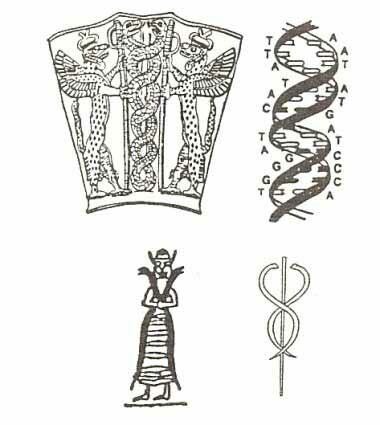 As the Uraeus was seen as a royal symbol, Horus and Set also were depicted wearing one. In early mythology, Horus would have been the name given to any king as part of the many titles taken, being identified as the son of the goddess. According to the later mythology of Re, the first uraeus was said to have been created by the goddess Isis who formed it from the dust of the earth and the spittle of the then current sun deity. 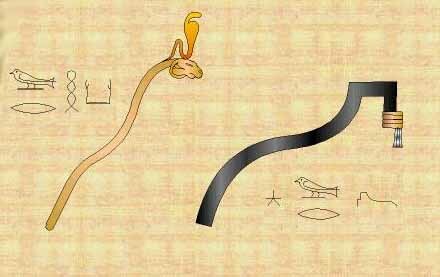 In this version of the mythology, the uraeus was the instrument with which Isis gained the throne of Egypt for Osiris. Isis is associated with, and may be considered an aspect of Wadjet. Another name for this is the term "Totaf" found also in the Bible. This gilded wooded cobra called netjer-ankh ("living god") was found in the tomb of Tutankhamun. 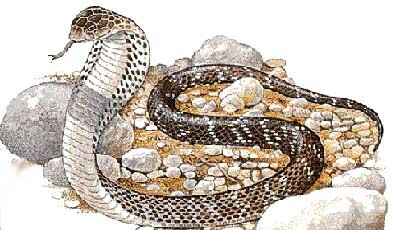 It is representative of the cobra's associations with the afterlife. In funerary works, the cobra is often depicted spitting fire. Two cobras doing just that were said to guard the gates of every "hour" of the underworld. During the Late Dynasty Period, uraei were also shown towing the barque of the sun in funerary papyri. In all of these examples, the cobra's protective nature is clearly demonstrated. 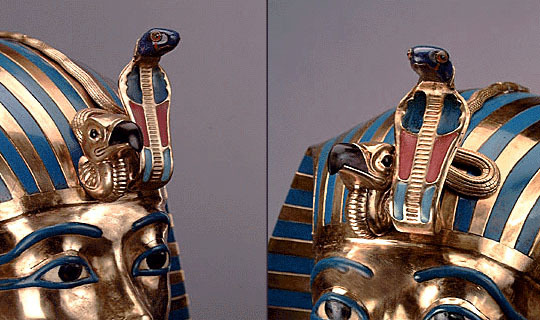 The Golden Uraeus is of solid gold, 6.7 cm, black eyes of granite, a snake head of deep ultramarine lapis lazuli, the flared cobra hood of dark carnelian inlays, and also inlays of turquoise. For mounting on the pharaoh's crown, two loops in the rear-supporting tail of the cobra provide the attachment points. Besides, the Uraeus being used as an ornament for "Statuary", or as an adornment on the pharaoh, it was also used for jewelry and in amulets. However another important usage is as the Hieroglyph. The simplest hieroglyph is the "Cobra" (the Uraeus), however there are subcategories, referring to: goddess, priestess, the goddess Mehnit, shrine of goddess (ˆter), goddess Isis, and lastly goddess: (Cobra (uraeus) at base of God (ntr). Another example of the hieroglyph usage, is as adornments upon the hieroglyph for "shrine" itself, and also for 'buildings'. 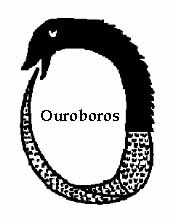 The cobra was a symbol of upper Egypt - the Pharaoh - a sign of new life and resurrection. The cobra was almost always portrayed rearing up and with its hood dilated. The Greek word uraeus is typically used to describe the cobra in this pose. The word may have its origins from the Egyptian words which meant she who rears up. 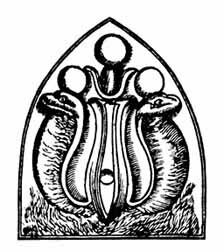 The species of cobra represented as the uraeus is the Naja haje. The king is portrayed wearing the royal nemes head cloth, the royal beard and the double crown, symbolizing his rule over Upper and Lower Egypt. 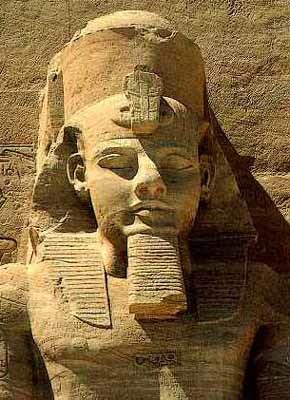 The royal uraeus on his forehead protects him against all evil. The uraeus was a symbol for various things from early times including: the sun, Lower Egypt, the king and a number of deities. Ancient Egyptian Dynasties. The uraeus in its protective function is often incorporated into scenes from the Book of the Dead, associating uraeus with the underworld. The antechamber to the King's Chamber is highlighted by the blue circle. This small but very important room can be linked to the ancient ceremony of 'opening of the mouth'. 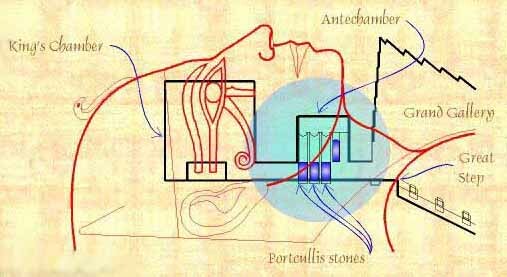 Rather than being lowered as a 'last line of defense' against intruders, the portcullis stones may have been ritually opened during the ceremony of activating the deceased pharaoh's spiritual components. At the top of the ascent of the Great Pyramid's Grand Gallery, the path of the corridor becomes constricted as it enters into the antechamber to the King's Chamber. In the anatomical model guided by the Egyptian canon of proportion for the human figure the Great Step at the south end of the Grand Gallery coincides with the juncture of the shoulders and the base of the neck. The north wall of the antechamber is positioned to indicate the lower line of the jaw, providing an indication that this area within the pyramid may have pertained to the rituals performed in the ceremony of 'opening of the mouth'. 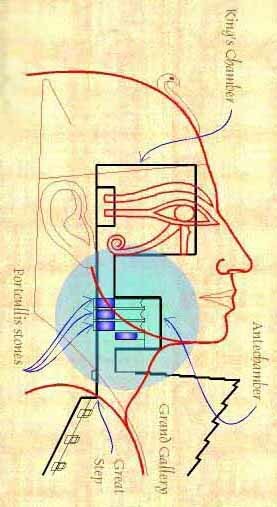 Two of the several instruments employed in this process of magically activating the ka and the ba of the deceased pharaoh were the sebur and the urheka. The design of the handles of both of these devices appears to have been inspired by the curvature of the spinal medulla as it passes through the vertebral canal. The enlarged end of the urheka is comparable to the human brain stem. Unlike the rather elegant appearance of the urheka, the adze-like, utilitarian design of the sebur signifies that this tool was symbolically representative of forcefully breaking open a previously sealed aspect or component of the deceased's spiritual body. That a forceful, as opposed to gentle, intent was involved in the ritual use of the sebur is clearly emphasized by the presence of an iron cutting edge mounted with bindings onto the wooden handle. 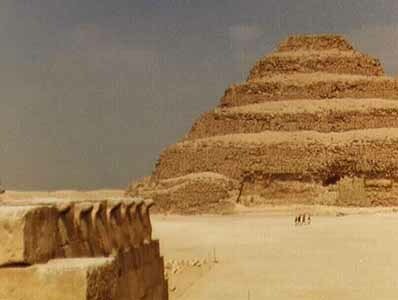 In Old Kingdom Egypt, iron was very rare and highly valued because of its strength and hardness. during the ceremony of 'Opening of the Mouth'. The urheka is on the left and the sebur is on the right. Given this backdrop, the seemingly incongruent design features of the antechamber to the King's Chamber coalesce into a consistent theme. In this regard, for every design element in the portcullis arrangement of the antechamber which is supportive of the mechanical closing of the passageway there is a feature which obviates the functionality of the scheme. This is clearly evident in the discrepancy between the design of the east and west walls of the chamber, the equivalents of polarized reference points of birth and death. While the west wall appears to allow for the closure of the passageway the east wall lacks the features needed to make the setup mechanically viable. Underscoring this motif of inconsistency, the masonry of the antechamber is a composite of white limestone and red granite. White limestone may be seen as representing the brilliant light of the noon-time sun while red granite is indicative of the darkening glow of the setting sun. In this reading, the design of the antechamber encapsulates the symbolism of a convergence of opposites, an ineluctable crossing point between states of being. Contrary to the problematic and unconvincing assertion that the antechamber's portcullis stones were intended to be lowered as a 'last defense' against tomb robbers, I submit that they were intended to be raised or possibly even ritually broken open while in a lowered position. This opening would have taken place during the ceremony of 'opening of the mouth', comparable to and perhaps even simultaneously with the symbolically forceful acts involving the sebur tool. 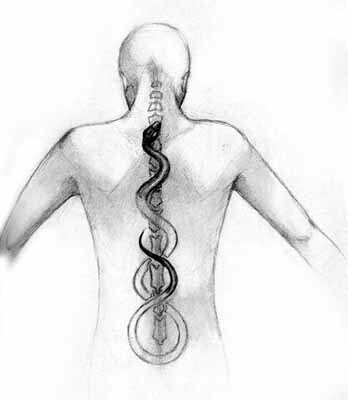 The spinal cord was symbolized by a snake, and the serpent coiled upon the foreheads of the Egyptian initiates represented the Divine Fire which had crawled serpent like up the Tree of Life. 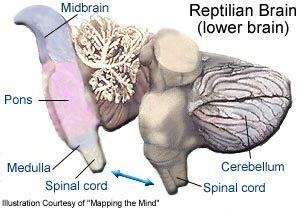 The human genetic experiment links with snake symbology, DNA, Sumerian Gods and for some a feeling of connection with an alien race, reptilian or other.